Located near I-35 and the Des Moines metro area, the Country Inn & Suites, Ankeny makes it easy to host events close to the city without the inconvenience of city traffic. 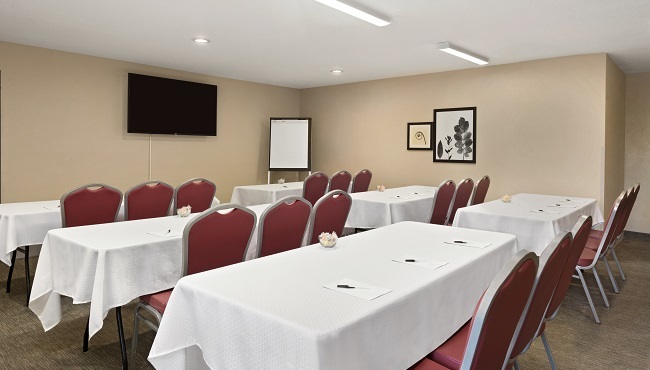 Our meeting room accommodates up to 20 guests and includes an overhead projector, a portable screen, a flip chart, and a TV with a DVD player. Get in touch to find out more about group discounts on blocks of 15 or more rooms and a personalized Country Inn & Suites Web page for your guests.